Found primarily in northeast U.S. and Canada, beech is a heavy, pale-colored, medium-to-hard wood used widely for chairs and stools. It has a fine, tight grain similar in appearance to maple or birch woods. 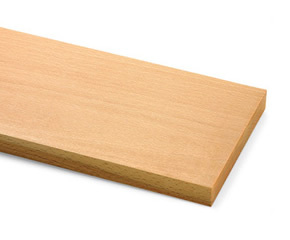 Beech wood has a high shock resistance and takes stains well.